In 1941, a group of islanders from Eriskay in the Outer Hebrides helped rescue the crew of stricken cargo vessel the SS Politician. As the grateful shipmates dried off they rather foolishly talked about the contents of their hold. On their way to Kingston in Jamaica had been 28,000 cases of malt whisky. The Hebrides wasn’t much of a fun place in 1941 and the temptation was too great for the locals. Before long a remarkably well-organised salvage operation had been launched. Using their fishing boats, men were lowered on to the stricken Politician – nicknamed Polly by the islanders – to pilfer as much as they could carry. 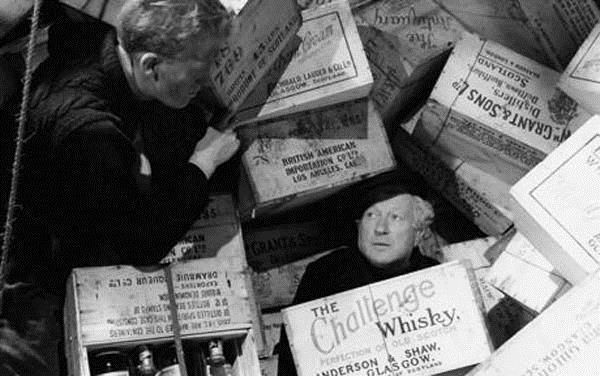 Famously, their Whisky Galore! story was told in Compton Mackenzie’s 1947 book and an Ealing comedy released in 1949. To the people of Eriskay, the cargo was salvage but local customs officer Charles McColl was outraged at what he saw as thievery. Soon, men were going on fishing expeditions clothed in their wives’ dresses in order to avoid getting incriminating oil on their overalls. Also plundered was a shipment of bicycles – which turned out useless as Eriskay had no roads. 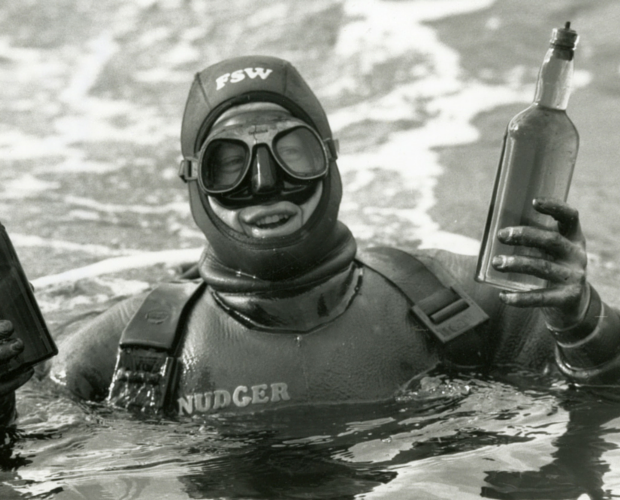 turns up bottles stashed more than 70 years ago.